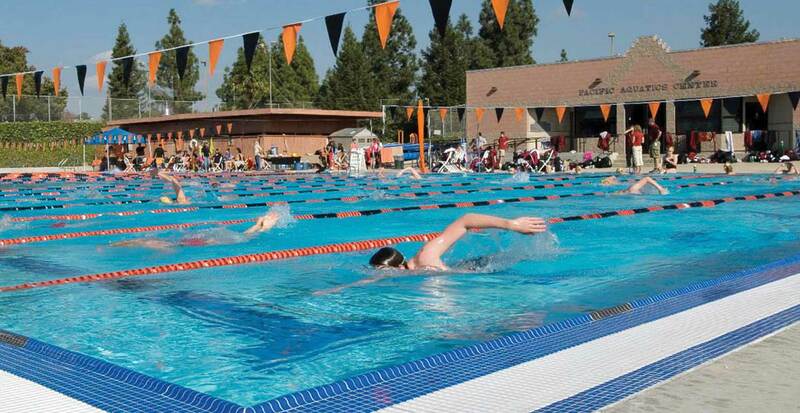 When UOP set out to ren­o­vate its 50-meter x 25-yard pool, one of the goals was to make it a “faster” pool. Arch Pac increased the depth, changed the can­tilever gut­ter to a rim flow gut­ter, and widened the lanes to FINA stan­dards – all of which help swim­mers achieve faster times. The ren­o­va­tion also includes new plas­ter, tile, recir­cu­la­tion sys­tem and mechan­i­cal equip­ment.